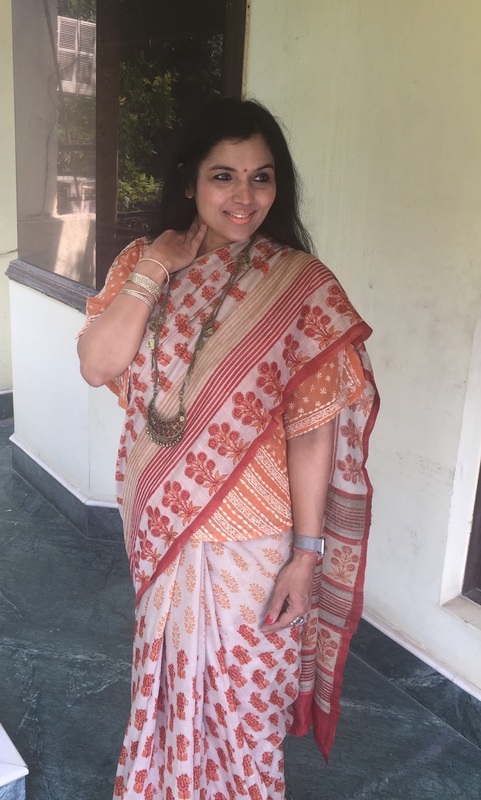 I have decided to pair them with T-shirts, shirts, tops and maybe even kurtis. Nowadays, blouses do not have to match exactly. 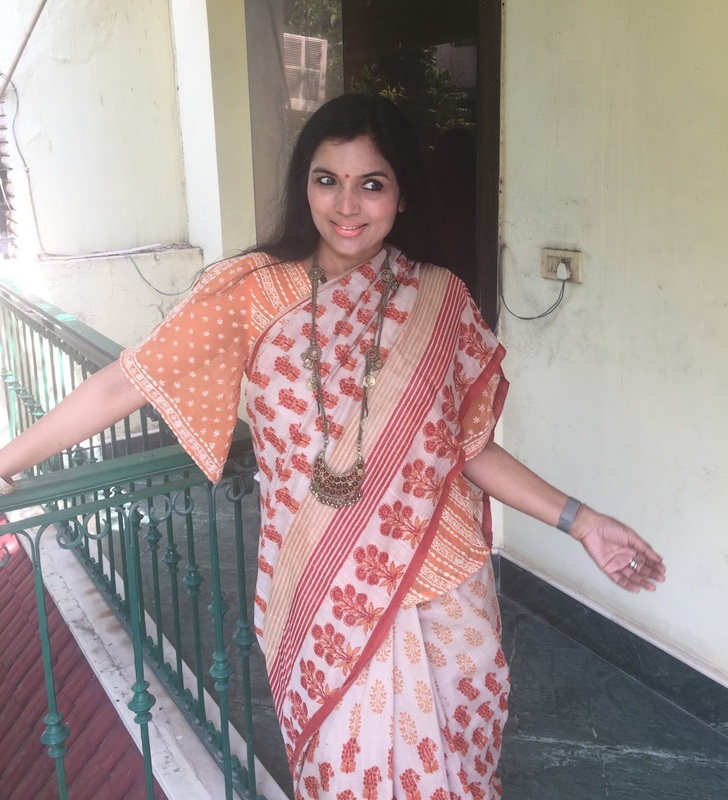 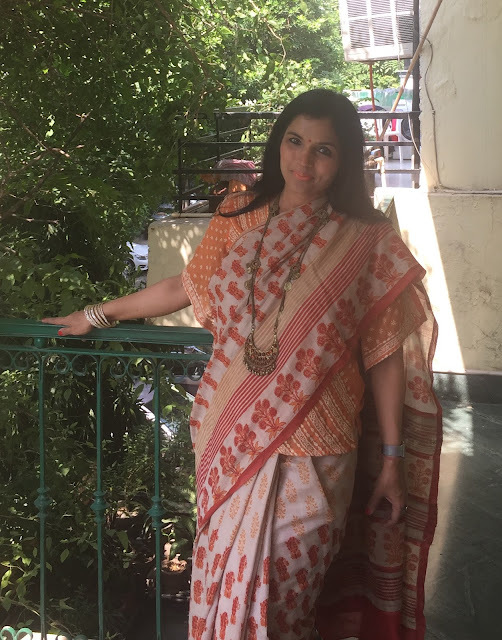 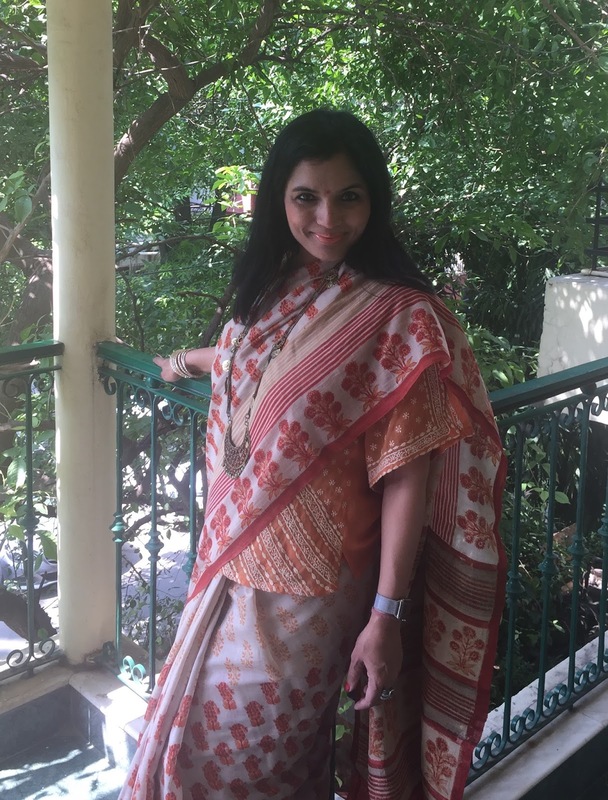 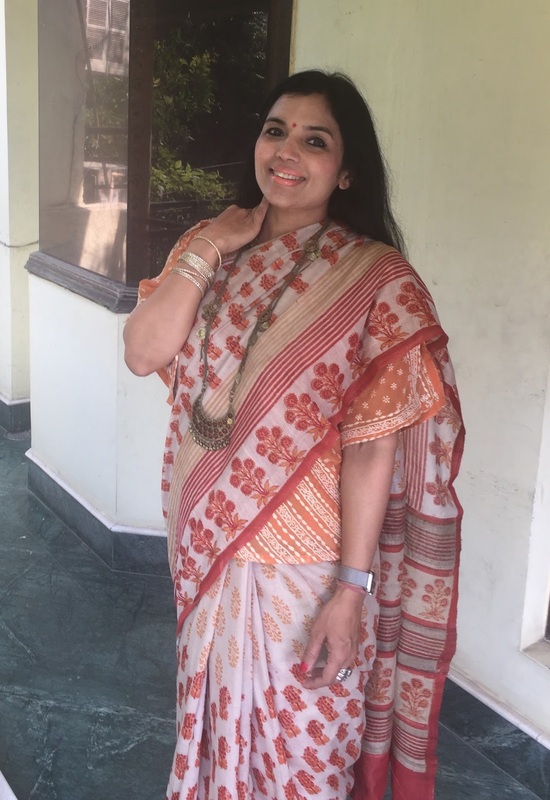 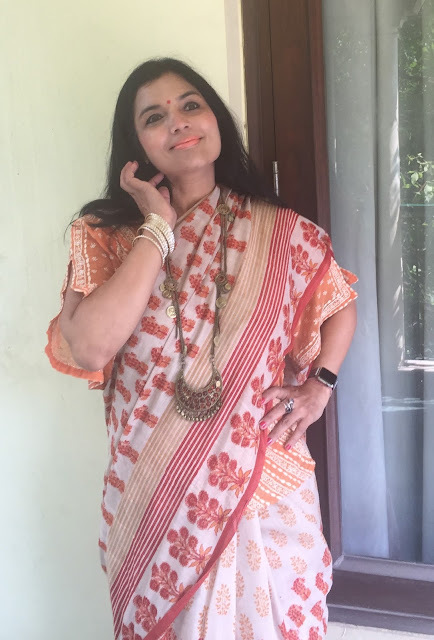 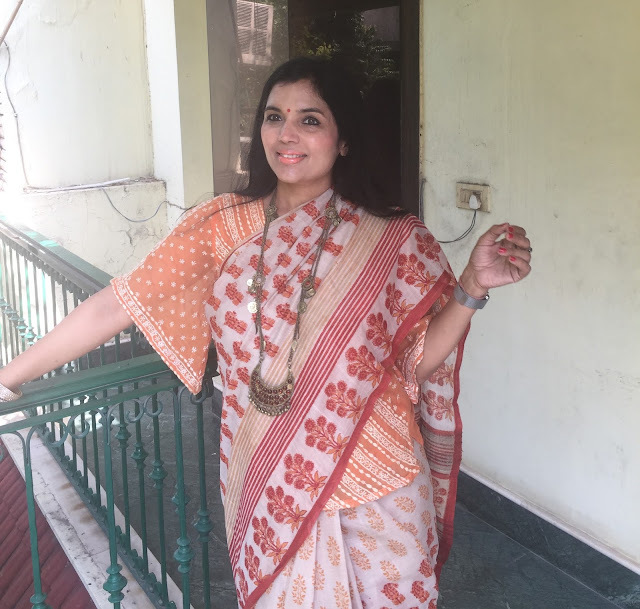 I wore my cotton saree with a very old Ritu Kumar top that I have worn here and here before. The saree felt as comfortable as wearing a night suit.